On the afternoon of Wednesday 26th September, we celebrated European Day of Languages across the school. Pupils took part in a range of exciting and engaging interactive activities designed to promote an interest in Language Learning. Our Year 6 pupils spent the day at St Ambrose Barlow, participating in the Primary Languages Conference. Our EYFS pupils learnt some simple French greetings and sang a song in French. Our LKS2 pupils played some online languages games, took part in a quiz about European Languages and learned the Language Wizard song. Click on the links below to have a go at some of these activities. Tuesday 26th September was European Day of Languages. The whole school celebrated by spending the afternoon taking part in fun activities related to language learning. We also identified different languages which are spoken by pupils at our school - there are at least 13! Our EYFS pupils learnt some simple French greetings and listened to a French song. They also watched a special episode of Peppa Pig which was produced for Languages Day. Pupils in Key Stage One learnt a range of French greetings. They also learnt some weather words in French to fit in with their class topic this half term. 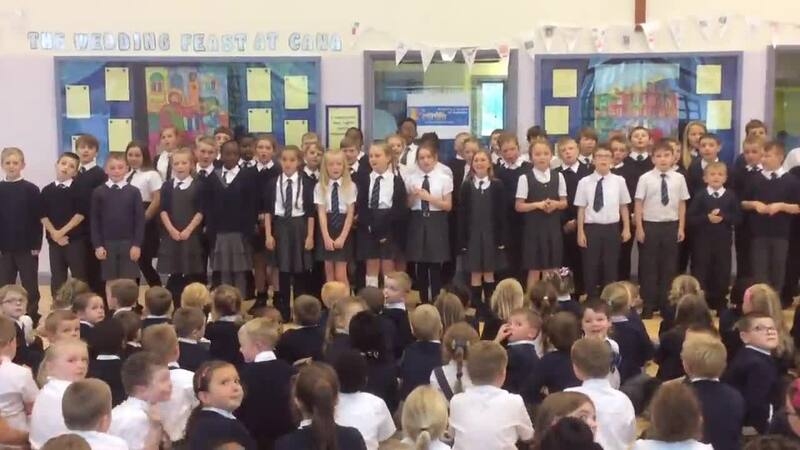 To end the afternoon, pupils sang a French song from our new Music Express programme. All our Key Stage Two children took part in an interactive QR code quiz. They had to hunt for the answers to their questions around the school. Year 3 and 4 pupils listened to the familiar story of 'The Gruffalo' in French and sang some songs and rhymes. Year 5 pupils read a story 'Va t'en grand monstre vert' and completed some activities focusing on languages spoken in our school community. Year 6 continued their current topic of 'Ma famille' - creating a family tree for the Simpsons and also reading the story 'Je veux une petite soeur'. Two of our school governors came to see what we were up to for the Day of Languages. They were very impressed with the activities the children were involved in, and praised the high level of behaviour and engagement. Monday 26th September was European Day of Languages. 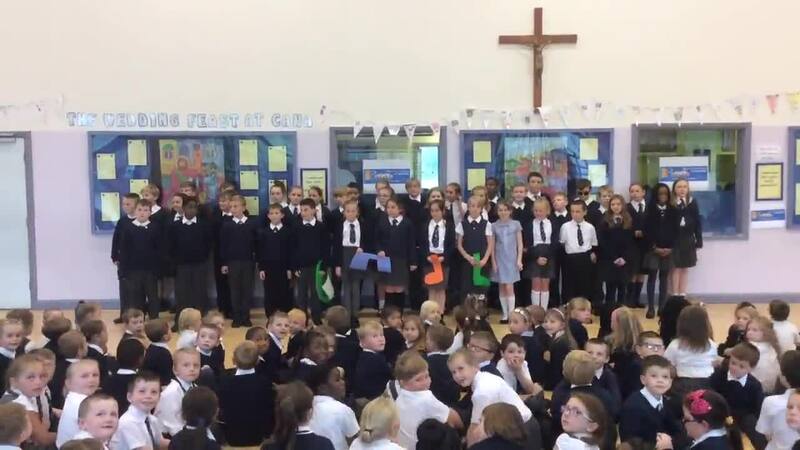 Our school celebrated with a day of music and singing. 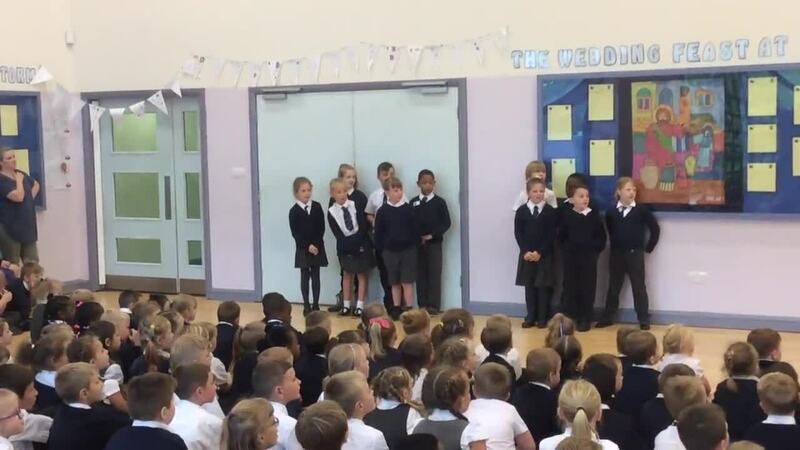 Each class learnt a French song and we all joined together in the hall at the end of the day for our 'St Edmund's Song Contest'. Year 6 sang 'Promenons nous dans les bois' - a song about going for a walk in the woods. Watch out for the surprise at the end! 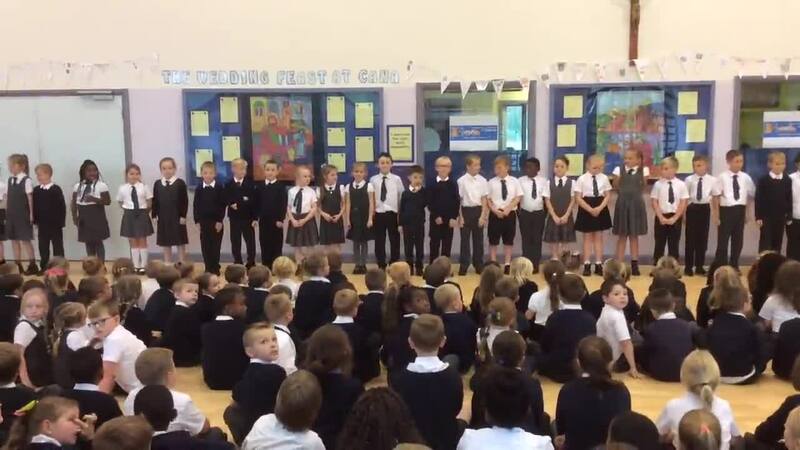 Mrs Brookes' class sang 'Jean Petit qui danse' - they learnt actions to match the words of the song. 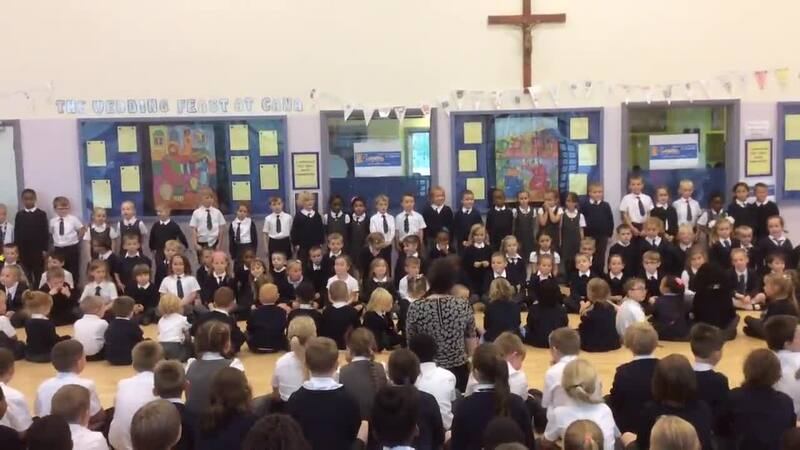 Miss McCarron's class sang 'J'aime la galette' - a traditional French song about biscuits. 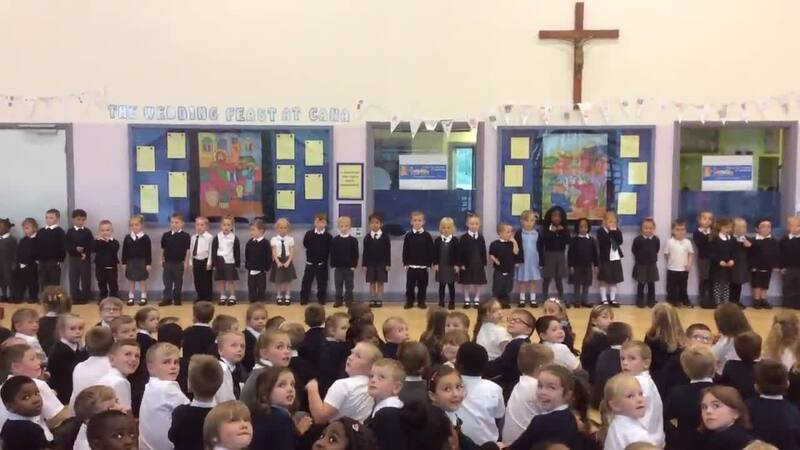 Year 1 and 2 sang 'Bonjour, s'il vous plait' - a song about different French greetings. Year 5 sang 'Savez vous planter les choux' - a song about planting cabbages. Reception sang 'Heads, shoulders, knees and toes', they did really well to learn all the French words. 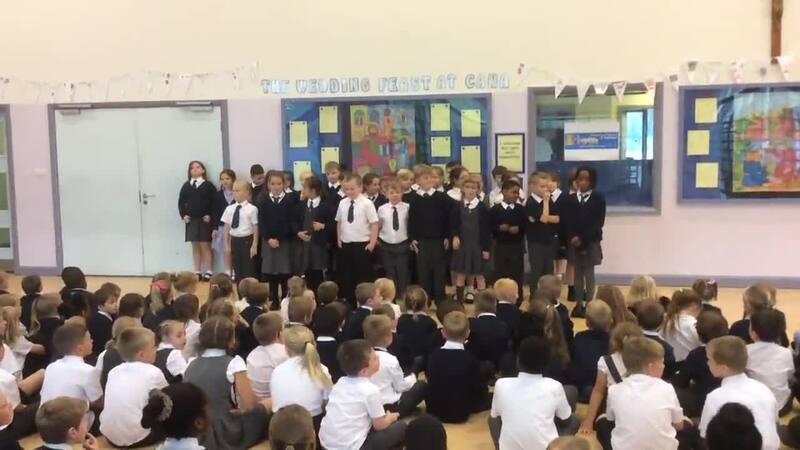 Miss Moran's class sang 'Frere Jacques' - they sang in a round, and some children learnt a dance with Mrs Johnson.